Just because the 17hmr is a small rimfire cartridge doesn’t mean it doesn’t deserve a decent scope. Luckily these days we have several options that fit a 17 hmr like a glove. Find out why the BSA Sweet 17 won our editor’s choice as the best scope for the 17hmr as well as where the other excellent options stack up. Many companies are capitalizing on the somewhat recent success of the 17hmr. Since 22lr almost went extinct, people were looking for an alternate outlet for cheap fun and hunting. In comes the 17hmr. While not near as cheap as 22lr before the election, 17hmr could be had for about 13 bucks for a box of 50. But what really gave the little 17 success was it’s incredible ballistics on small game. It was everything the 22lr was and more. Flatter shooting, superior ballistics, further range, it had it all. Which means it’s that much more important to put a proper scope on it. Generous Eyebox: This one may have some of your scratching your heads. I’ve put more rounds through my cz 455 17hmr than almost all my other rimfires combined. I’m finding that my most common use for it is a walk and stalk hunting rifle for rabbits and other varmint. This often means shots are offhand with support of my sling. I’ve come to come optics with lower magnifications and generous eyeboxes for this very purpose. Anything to make quick target acquisition should be at the top of your list if you are doing any walking and shooting with your rifle. Reliability: Obviously recoil is not going to be a problem for whatever scope you put on your 17 hmr. What can be a problem though is a scope so cheap that a slight bump knocks it off zero. Even the 17hmr can get pushed around in the wind around 100 yards which makes it that much more critical to have a solid zero. Shooting long range with a rimfire is hard enough, don’t let a poorly constructed scope add to the issue. Low Magnification: Unless you are purely going to do range work I’d stick with an optic that has a low end around 2-4x. Much higher than that makes it extremely hard to hunt with. On the high end I’d say 9-14x should be the sweet spot. The 17hmr is really only capable out to 150 yards so much more magnification is just not needed unless you are punching paper. BSA has come a long way since they started putting scopes out close to a decade ago. They have always gone after the more affordable scope market but up until recently they really didn’t have anything I’d feel comfortable putting on any of my rifles. In comes the BSA Sweet 17 scope. The 3-12×40 Sweet 17 scope is specifically designed for the 17hmr in that the bdc reticle and turrets are setup for 17gr and 20gr 17hmr rounds. This makes it near foolproof to start shooting long range with your 17hmr. Just zero the rifle and holdover at the specific hash marks on the reticle and you are good to go. We chose the 3-12×40 over it’s higher powered brother purely because of our preference on having a 3x on the low end as well as the glass being better on this model. One thing you will find out quick with budget optics is high power magnification and budget don’t mix. Lucky for us this 3-12×40 is just the right amount of magnification for up close hunting as well as those 200 yard shots. 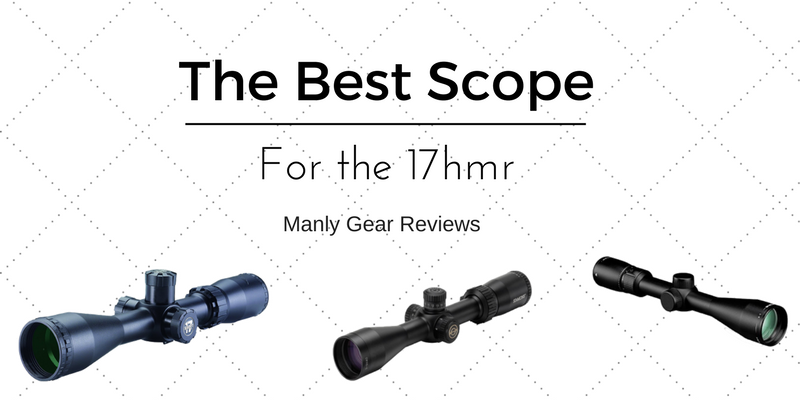 If you need a solid budget scope for your 17hmr look no further than the BSA Sweet 17. 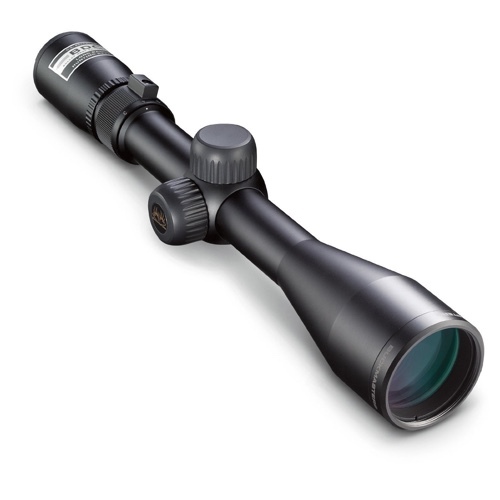 The Nikon Buckmaster series has been synonymous with great budget rifle scopes for years. One thing you’ll notice about this scope is it’s not actually marketed as a rimfire scope. Instead this is actually a centerfire scope. So why recommend it for the 17hmr? For one, its usually under $100. Two, it’s proven to handle the recoil from big magnum cartridges. 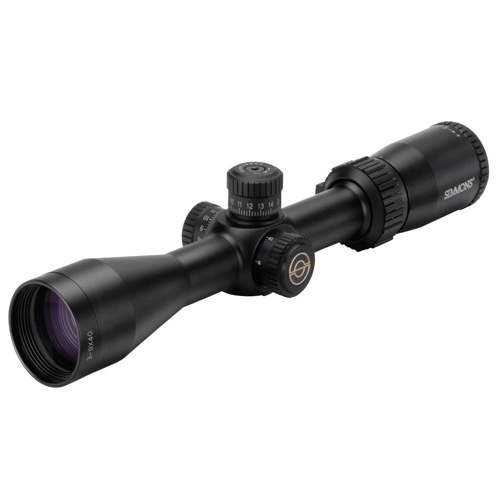 This Buckmaster comes in a 3-9×40 which is a perfect magnification range for hunting and range work. It’s super light at under 15oz and it has a usable BDC reticle. While the reticle won’t match up perfectly at nice even numbers like the BSA reticle will, the Nikon will just take an extra range trip to test the holdovers on different targets. If you need a quick, simple and super affordable option for your 17hmr look no further. The Nikon Buckmaster may be the best scope for the 17hmr under $100. If you are looking to dial in your elevation the Simmons ProTarget is a great way to do that at an extremely affordable price. Coming in with a zoom range of 3-12×40, the Simmons ProTarget is made for rimfire shooters.With decent turrets for its price, the Simmons is equipped with another feature that typically isn’t available at this price point: Side parallax. Target shooters know that having a parallax adjustment is key to being able to make accurate shots especially close up. The Simmons ProTarget is said to have HD glass, obviously at just over $100 bucks we aren’t going to have low light performance that will compete with a Swarovski but what we do have is glass that is easily sufficient for day time shooting. If you want one of the best (and most affordable) target scopes for your 17hmr the Simmons ProTarget is going to be hard to beat for around 100 bucks. 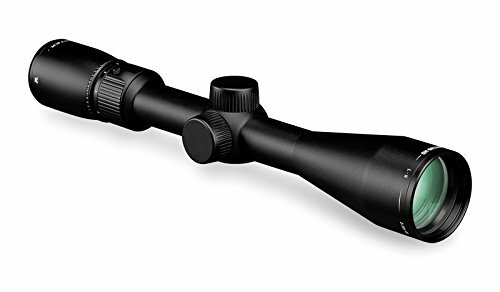 The Vortex Razor LH 2-10×40 may seem a little out of place in this list of scopes for the 17hmr but let me assure you, if you are looking for a premium hunting or plinking scope the buck stops here. The Razor LH doesn’t have any special rimfire turrets nor any rimfire reticles, what it does have is absolutely incredible glass and build quality for the money. Coming in around $700, the Razor LH is going to give you the best glass you can buy for the money. While the reticle isn’t rimfire or 17hmr specific, it does have a very cool BDC style reticle that can easily be adapted for 17hmr use. With a killer magnification range of 2-10, the SFP BDC reticle in the Vortex Razor makes for quick follow up shots as well as target acquisition. A lot of people have a hard time spending more on their scope than they did on their rifle, and we get that. If you can swing it however, the Razor LH is easily one of the best scopes for the 17hmr.